Feel free to contact us anytime or call us at 317-RED-DOOR if you have any questions about Washington Township Real Estate or if you are looking for a Indianapolis real estate agent. Washington Township is typically known for its well established neighborhoods that offer unique homes with tree lined streets. In addition the well established neighborhoods, Washington Township is home to Broad Ripple, Butler University, the Indianapolis Museum of Art and the enormously popular Monon Trail. Washington Township homes tend to be more historic and offer more character than any other part of Indianapolis. Washington Township is home to some of Indianapolis’ most popular and most distinguished real estate. Broad Ripple offers charming bungalows and offers some of the city’s best nightlife while Meridian-Kessler is a historic district known for it opulent homes including the governor’s mansion. If you looking for historic and/or charming homes that contain more character than homes in the suburbs have to offer, Washington Township is a great place to look for a home. Washington Township is known for its historic homes, tree lined streets, and well established neighborhoods. Washington Township includes some the areas most desirable neighborhoods and some of the areas most expensive real estate as well. Much of the Indianapolis luxury real estate can be found in and around the Meridian-Kessler area. Meridian-Kessler is known for its large historic homes with unique features including slate roofs and diverse architecture. Some of Indianapolis’ most popular neighborhoods are also located in Washington Township including: Broad Ripple, Butler-Tarkington, Nora, and Northern Estates. Washington Township is one of the nine townships that make up Marion County and the city of Indianapolis. Washington Township is located just north of downtown Indianapolis and bound by 96th Street and 38th Street on the north and south and Graham Road and West Lincoln on the east and west. Washington Township is one of the largest townships in Indiana with an area of 36 square miles and a population of approximately 136,000. Washington Township is home to many of the city’s most popular attractions including: Broad Ripple, the Monan Trail, Indianapolis Museum of Art, and Butler University. 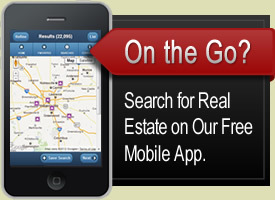 Contact us for more information about buying or selling Washington Township homes.